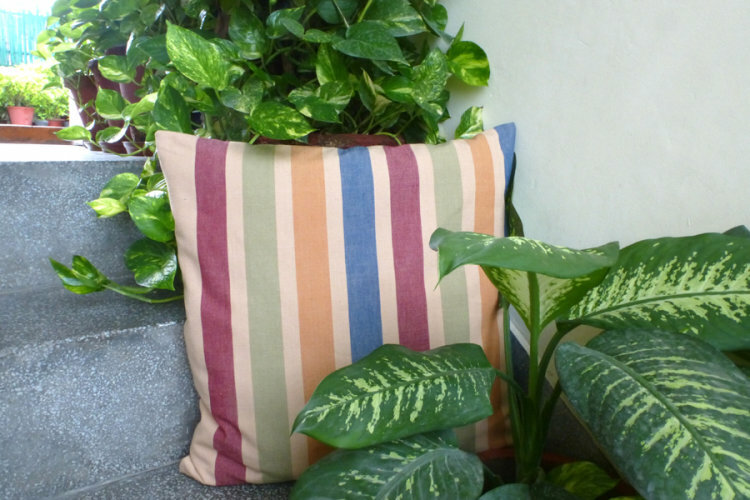 Inspired by the colours of nature these cotton cushion covers are perfect in all seasons. They are hand woven in Bharat Mata Kusht Ashram or Khadi Gram Udyog Kusht Ashram, both leprosy communities in N. India. Not for sale to USA at the present time.